Toronto, ON – The Ontario Hockey League today announced the regular season schedule of games for 2018-19. 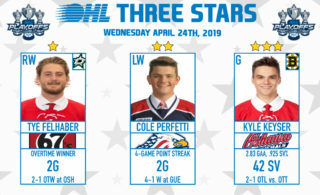 Among the highlights in 2018-19 are home openers for the league’s four division winners including the Central Division’s Barrie Colts on September 20 against the Owen Sound Attack, the West’s Sault Ste. 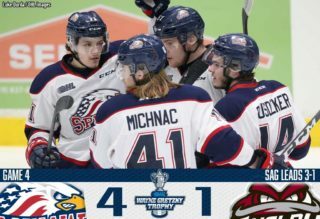 Marie Greyhounds against the Sarnia Sting and the Midwest’s Kitchener Rangers against the Flint Firebirds both on September 21, and the East’s Hamilton Bulldogs who will also celebrate their OHL championship season when they host the Ottawa 67’s on September 30. The schedule includes five days that feature special morning starts for a total of eight School Day games. 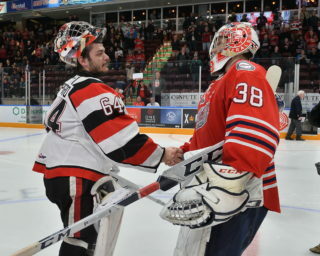 On Wednesday November 7 the Firebirds host the Sting and the 67’s host the Kingston Frontenacs both at 11:00 am, then on Remembrance Day, Wednesday November 14, the Bulldogs host the Colts at 10:30 am while the Erie Otters host the Rangers and the Mississauga Steelheads host the Guelph Storm both at 11:00 am. On Wednesday November 28 the Frontenacs host the 67’s at 10:30 am, followed by Thursday February 7 when the Bulldogs host the Oshawa Generals at 10:30 am, and Wednesday February 27 when the Steelheads host the Rangers at 11:00 am. The busiest day on the OHL calendar this season is Friday December 28 when the league resumes play following the holiday break and features all 20 teams in action. The schedule also includes eight days where nine games will be played including Friday October 12, Saturday November 10, Friday November 23, Friday December 14, Sunday January 6, Friday February 1, Saturday February 2, and most notably Monday February 18 with nine matinee matchups to celebrate Ontario’s Family Day. 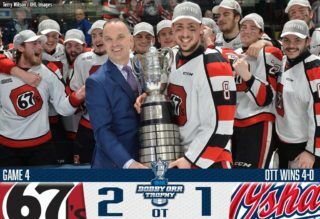 For the second straight season, the schedule includes 681 games due to another interleague series between the 67’s and the QMJHL’s Gatineau Olympiques. The teams will play their home-and-home series on Friday December 7 in Gatineau and Saturday December 8 in Ottawa.